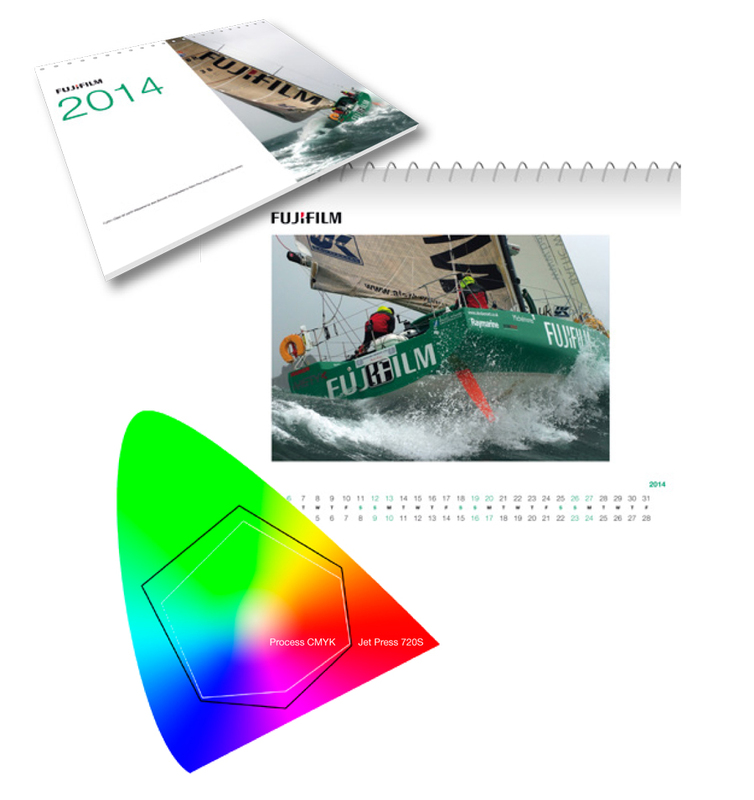 This larger format calendar was easy to print on the Jet Press 720S. 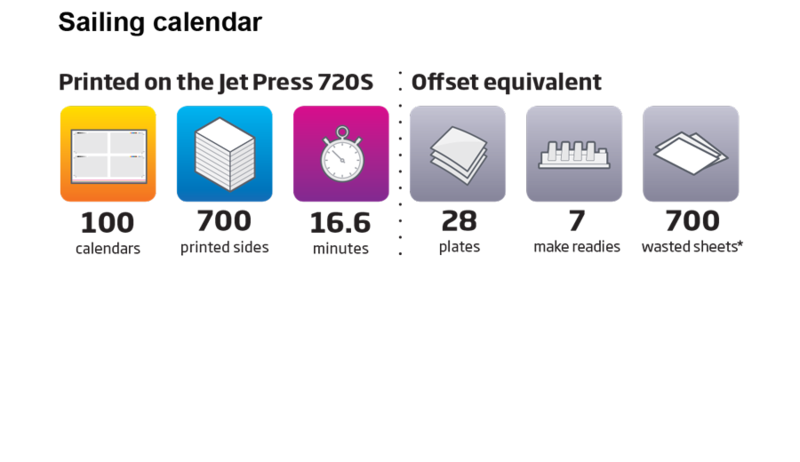 Firstly it was printed collated in page order to simplify the finishing process, and could easily be personalised if required, and for a run length of 100 would have been very inefficient to print on an offset press. Equally, it would have been too large to fit on most digital presses. Finally, the quality and wide colour gamut result in superb, vibrant images.